Each model is made of high quality plastic and measures between 6mm and 11mm long. This new Herpa Scenix Accessory will make a great addition to your 1/500 scale model airport. 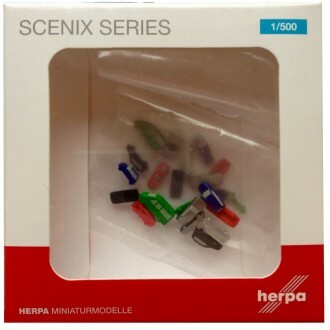 Herpa has now added some 1/500 scale cars to it's popuar range of accessories. 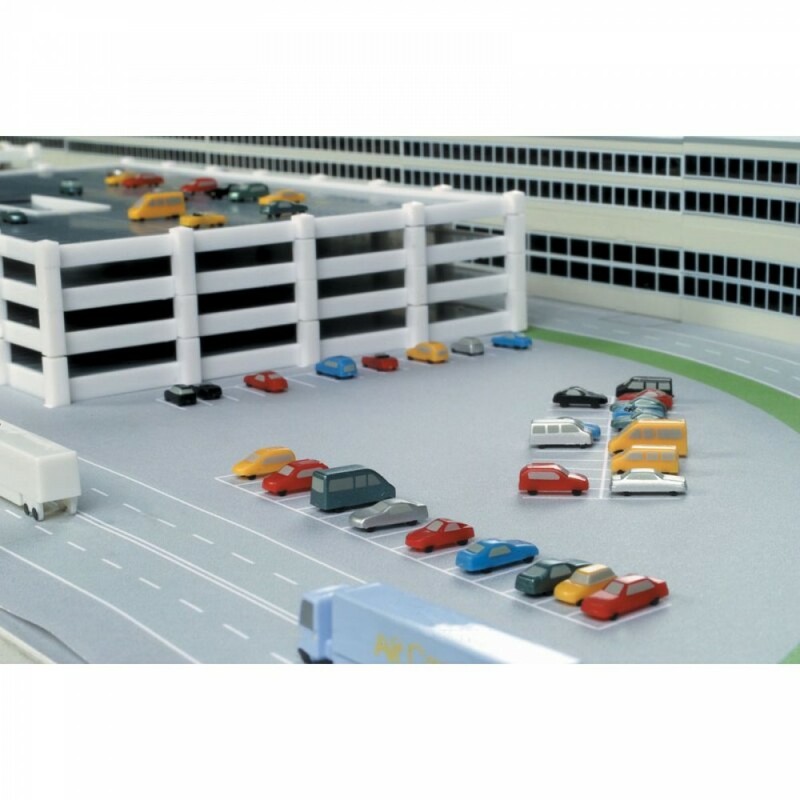 The 22 vehicle set comprises 2 tiny replicas of each of the following vehicle types: Mercedes-Bez CL-Coupe, BMW 7, VW Sharan, Mercedes-Benz C Class, BMW Z3, VW T4, Mercedes-Benz Sprinter, BMW X5, Mercedes-Benz 500SL, Porsche 996, and the new Mini produced by the BMW Group.